Is There a Definitive 4K Gaming Experience? Key figures in the video game industry have been using the phrase “4K” in so many ways this year that you’ve probably been tempted to look up the meaning of the term just to be sure you understand it correctly. 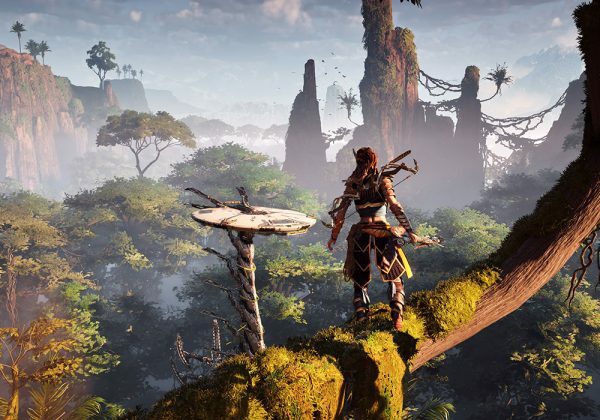 When it comes to singling out games which truly exhibit the benefits of 4K technology, however, you’ve probably been tempted to encourage key figures in the video game industry to look up the meaning of “4K” just to make sure they understand it correctly. Every technological revolution in gaming needs a poster child. Sonic exhibited the benefits of blast processing. Final Fantasy VII kickstarted a CG revolution. Super Mario 64 practically turned gaming into a 3D medium. What title is the poster child for 4K gaming? A quick look at the recommendations of hardware enthusiasts suggests that those looking for the best 4K experiences should consider games like The Witcher 3, Metro Redux, and Star Wars Battlefront. Once you actually view these games in 4K and you’ll find that yes, they look fantastic. In terms of how they compare to the base experience, it’s clear that the 4K version is superior. That’s the thing about these 4K titles, however. You still have to look. You have to find the comparison screenshots, you have to watch the video breakdown, you have to remind yourself that these titles were not developed with a 4K first mentality. In other words, you have to accept certain compromises if you are to accept that there is a definitive 4K gaming experience. Accept enough compromises, and sooner or later you’ll begin to wonder if there really is such a thing as one 4K game to rule them all. Does it matter that there isn’t really the one 4K game you can point to as the one title that clearly demonstrates just what 4K technology is capable of with no comparison shots or compromises required? That depends on who you ask. There are many 4K users who are perfectly satisfied knowing that they are playing a superior looking version of a particular game. They even go so far as to say that once you get used to 4K gaming, there is no going back. The problem is that there are millions of gamers out there who don’t want to wade through 4K waters until they find that the temperature is to their liking. What they want is an excuse to dive in. Say what you will about the virtues of 4K technology or video game graphics in general, but history is filled with classic titles that earned that reputation due, in part, to the way they simply made our jaws drop when we first looked at them. You can throw out the names of a few games that supposedly do that for 4K, but the fact that there isn’t one game that rises above them all means that the truth is there isn’t that one definitive 4K experience. How much longer will we have to wait until there is?